Though crowded and noisy, Hong Kong is a surprisingly safe place to be in. Serious and violent crimes in this city are not common, and except some pickpockets in crowded places, tourists should not be afraid, especially with general precautions. 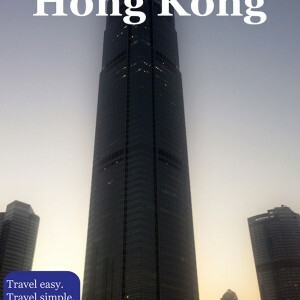 Taking in consideration that Hong Kong is one of the most attractive locations for tourists, the fact that locals can misuse your lack of experience with the city and products is unavoidable. You should be very careful when buying some things, especially electronics since you may get bad quality for a higher prize. There are some cases of strangers approaching you on the street, offering to exchange foreign money into their currency, but you should not let them trick you since their money is usually worthless. Besides, you may also some across street sellers trying to sell some valuable things like gold, again being fake and worthless, so you should stick to reputable stores. It is also important to know that the crime rate goes up as you go to Kowloon and into the New Territories, so you should be more aware if going to those places. The official and main currency of Hong Kong is Hong Kong dollar (HK$), being often confused with U.S. dollar. You may find some shops or restaurants that accept U.S. dollars, but the safest way is to exchange your money beforehand or to take Hong Kong dollars directly from an ATM. Of course, when changing your money at banks, hotels, and currency exchange offices, you’ll get slightly less due to high commissions, but among all of these options banks are the best, thanks to the good rates. In general, reliable ATMs are available throughout Hong Kong, where most of the credit cards are accepted, and you can use them as a way of payment as well at most of the places in Hong Kong. However, some small shops may not accept them, and at some places, you just get better rates when paying in cash. Unlike in the rest of the country, in Hong Kong Internet access is not controlled and filtered by the government and here you can access to all of the sites and applications, without exceptions. There are no many internet cafes today, which is understandable because of the presence of Wi-Fi enabled devices and a fact that high-quality free Wi-Fi is available in many places, like hotels, coffee shops, MTR stations, the airport or shopping malls. The Government’s free Wi-Fi service (GovWiFi) provide free internet access across the city thanks to around 2,500 hotspots set on more than 500 locations. But, if you still need the internet cafe, it will cost you around HK$20-30 per hour.